Some say Orange is the New Black (seriously, is anyone else excited for the new season to drop?!) 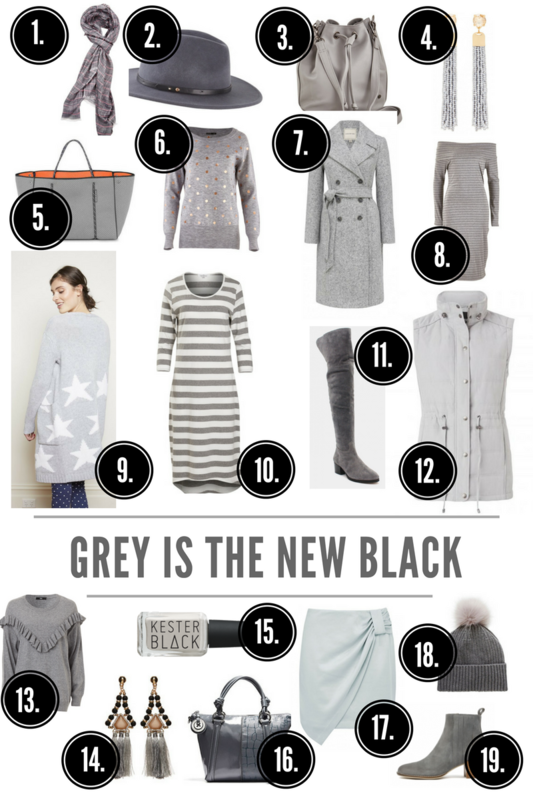 but the truth is, grey is the new black, especially this Autumn/Winter. A versatile colour, grey should be thought of as one of the new neutrals – the same as stripes, animal print and pink, at least in my world anyway! It grey provides a softer alternative to black and is easier to wear for women of all ages and skin tones. It looks fantastic with dusty/blush pink or bolder jewel hues (emerald, ruby etc) as well as the always on-trend, khaki. And of course, blue, white and black denim. To help you get started, here are 50 shades of grey. Just kidding, there’s actually only 19 pieces to check out when you’re ready to go grey. Have you incorporated any grey into your wardrobe lately? And if not, are you game enough to try it?